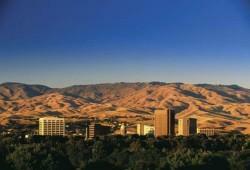 Boise, Idaho Now Experiencing 3G Goodness! Residents of Boise, Idaho are rejoicing! Thanks to T-Mobile, they are now experiencing 3G goodness! As someone who has had 3G for a while, I sometimes forget that not all of the country has 3G. Personally, I can’t wait for HSPA+ which T-Mobile is indeed promising. Currently, HSPA+ is only available in certain markets now. Get ready for 21Mbps! Let’s hope it comes soon.